The Hialeah Park Race Track is one of the oldest existing recreational facilities in southern Florida. Originally opened in 1921 by aviation pioneer Glenn Curtiss and his partner James Bright, the Miami Jockey Club launched Hialeah's race track on January 25, 1925. The facility was severely damaged by a 1926 hurricane and in 1930 was sold to Philadelphia horseman Joseph E. Widener. 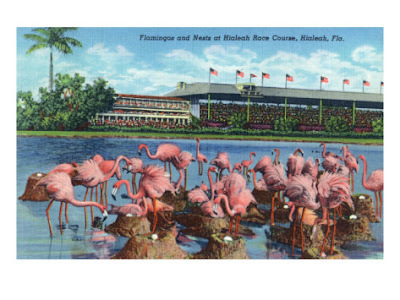 With Kentucky horseman Col. Edward R. Bradley as an investor, Widener hired architect Lester W. Geisler to design a complete new grandstand and Renaissance Revival clubhouse facilities along with landscaped gardens of native flora and fauna and a lake in the infield that Widener stocked with flamingos. Hailed as one of the most beautiful racetracks in the world, Hialeah Park officially opened on January 14, 1932. An Australian totalizator for accepting parimutuel betting was the first in America to be installed. The park became so famous for its flamingo flocks that it has been officially designated a sanctuary for the American Flamingo by the Audubon Society. The horse-racing movie Let It Ride, with Richard Dreyfuss, Terri Garr, and Jennifer Tilly, had most of its principal film photography shot at Hialeah Park in 1987. Hialeah Park also made an appearance in Public Enemies but scenes were shot in the midwest. The Champ (1979) with Jon Voight, Faye Dunaway and Ricky Schroder filmed scenes on Flamingo Day, 3/4/78. In 1974 sportsman John Galbreath purchased the track. With the population of South Florida shifting north and with other pari-mutuels trying to wrest the mid-winter racing dates away from Hialeah, breeder and developer John J. Brunetti jumped up in 1977 to preserve the track and its history. “This place is magnificent,” said Brunetti at the time, “I was overcome with it”. 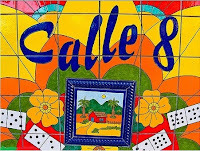 Now, John J. Brunetti’s vision for Hialeah’s rebirth in 2013 is a comprehensive development that supports the rich tradition and revitalization of the entire 200 acre property. A place that will entertain families and adults (both young and old), and once again become a tourist destination. 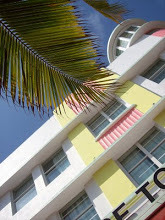 Mr. Brunetti’s plan restored Hialeah’s historic buildings and verdant gardens, brought horse racing back, and created a new entertainment experience for Miami-Dade County and the world. Soon will come a museum exhibiting the history of horse racing and the history of South Florida; the creation of an urban entertainment district for those who live, work, shop and play in the region; an outlet shopping village with restaurants; a new resort & spa hotel, with a metro rail station and business complex for the City of Hialeah and Miami-Dade County. 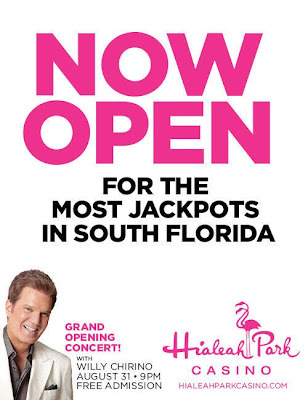 Join The Hialeah Park Casino on August 31st at 9pm for the Grand Opening Concert with Willy Chirino! 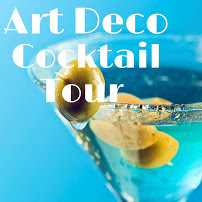 Free admission!. Click here for more information.